Some people may believe that cavities are something that only children experience, and they would be wrong. While it’s true that children have a high risk of experiencing cavities, that doesn’t mean that when people get older they don’t have to worry about experiencing this common dental issue. In fact, older individuals have a particularly high chance of experiencing tooth decay caused by cavities, which is why it’s important for this demographic to be proactive about preventing them. While brushing, flossing and using mouthwash are all good ways to keep cavities at bay, our Goshen dentists can offer people another way to keep their teeth safe from this dental problem – sealants. A sealant is a thin plastic coating that is applied to the back molars, which are the teeth that are used the most while chewing. These teeth have a high risk of developing cavities because they come in contact with all of the food you eat, and since they are in the back of the mouth they can be more difficult to thoroughly clean with brushing and flossing. This means that food can get stuck in the grooves of these teeth and act as food for the bacteria in the mouth, which will in turn attack tooth enamel and cause cavities. Applying these sealants is entirely painless. When people come in for sealant treatment they will simply have the plastic coating painted on their teeth and then it will immediately harden and begin protecting the teeth. Sealants can only be seen from very up close – pick a new phrase, and since they are on the back teeth, no one will even know they are there. Sealants can be clear, white or slightly tinted to match the look of natural teeth. Dental sealants are often applied to children and teenagers, but our Goshen dentists offer them for patients of all ages. Why should people consider a dental sealant? Decay can damage a tooth permanently and if left untreated it can lead to a person needing a root canal or some other extensive dental procedure. However, dental sealants will help prevent a cavity from occurring in the first place, potentially saving people time and money. Sealants can last for up to 10 years, and can easily be reapplied if they wear off. 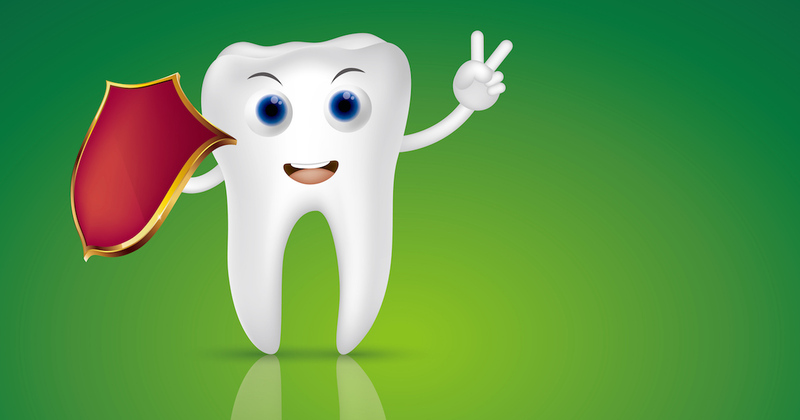 People who are interested in giving their teeth added protection from cavities should visit our Goshen dentists today. When it comes to protecting children from cavities, dental sealants are one of the most effective options. See how they can help your child. Dr. Mummert is amazing with children. My child went in for their first filling and I was extremely nervous. She talked to my child through the whole process and kept her relaxed. The hygienist was very good. I had very little pain after my 6 month cleaning. Staff is very friendly and professional. Wow, my mouth feels clean and I am confident that all is well. Great place. The staff, the dental assistants and especially the doctor are so welcoming and wonderful with children. It is unlike any other dentist office I have been to … Very, sincerely caring. The staff is always kind and informative! Courteous, quality service. Reasonable, upfront pricing. Recommendations without guilt trips. Staff was very patient and kind with my Autistic teenager. Made him feel safe in a unknown environment. They are really kind and generous people. I would recommend this office to anyone. From the girls in the front all the way back…they are professional, caring, and amazing. Great staff and very good with kids. Friendly and professional service. They take the time to listen to what you have to say.